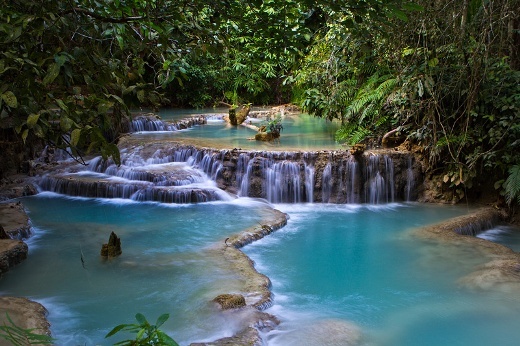 Kuangsi Waterfalls are a cluster various stunning waterfalls and are one of the most popular attractions of Luang Prabang. 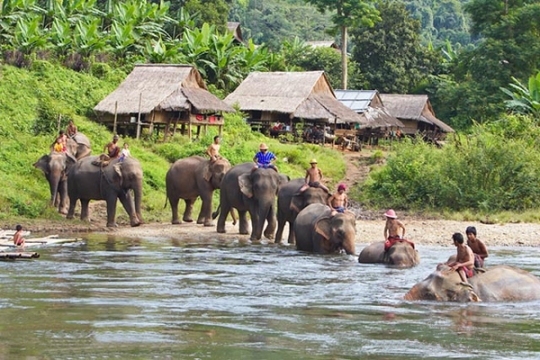 The tourists enjoy the natural landscapes and meet ethic minorities. You can spend a day at the sapphire colored pools by bringing a picnic basket prepared by Villa Maly staffs. You can rent a tuk tuk from our hotel or ask us to book a private car with your own driver. About two hours upstream from Luang Prabang, the Pak Ou Caves are located in limestone cliffs above the Mekong River. The caves are filled with many wooden Buddha statues. 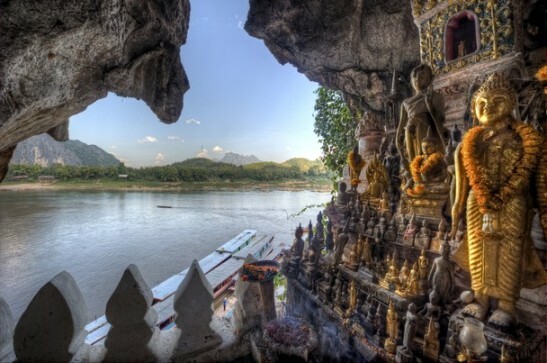 You can reach the Pak Ou Caves by a two-hour cruise along the Mekong, and view lots of beautiful river scenery. 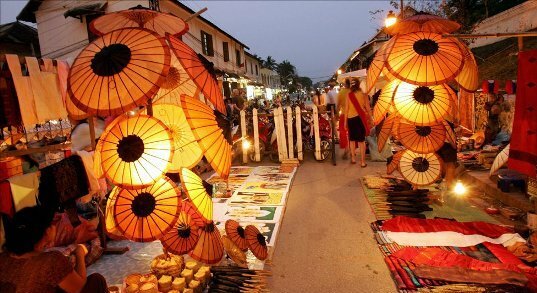 The large hill in Luang Prabang is known as Phou Si or “Holy Mountain”. The hill brings amazing views of the two rivers and the town. 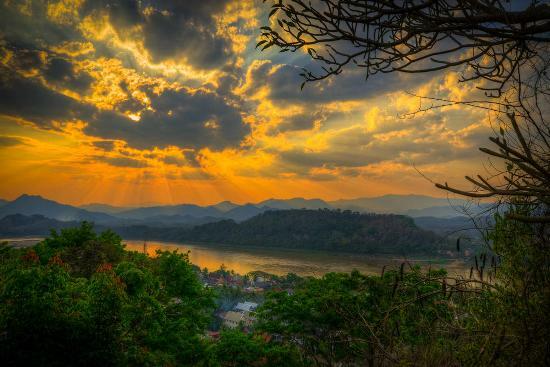 Here you can watch beautiful sunrise and sunset from top Phou Si. You can buy drinks and snacks at the base or bring along food prepared by Villa Maly staffs. Laos food in Luang Prabang is interesting to try. Baguettes and croissants, spicy soup, sticky rice and meat-based dishes are popular. Other than food in Villa Maly hotel, you can try various local Lao restaurants along the Mekong River roadside. 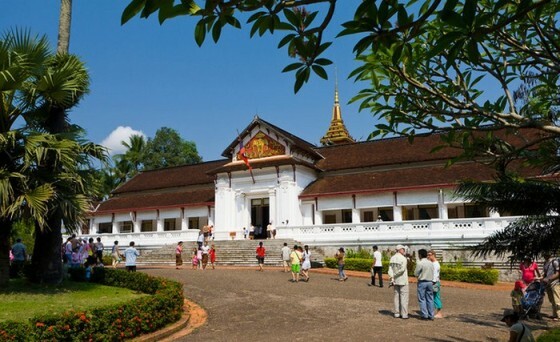 Wat Xieng Thong or Temple of the Golden City is one of the oldest temples in Luang Prabang, which was built in 1560. You can see unique architecture temple here and check out the restored wall paintings, which look amazingly beautiful.